From golf courses to grasslands, Aquatrols Seed Enhancement Technology offers a host of exciting new opportunities to enhance germination and produce better stand establishment under a variety of conditions. Aquatrols Seed Enhancement Technology improves seedling emergence and plant survival counts, especially under adverse conditions. It can help superintendents continue to produce high quality playing surfaces, even as water restrictions, the use of reclaimed water, and salt-affected soils become growing issues. Aquatrols Seed Enhancement Technology has been proven to significantly improve establishment of turfgrass under deficit irrigation, as well as improve germination rates of certain “hard-to-establish” species such as seashore paspalum. Plant cover was dramatically improved in this study through the use of Aquatrols Seed Enhancement Technology. Thirteen days after planting significant differences were detected in turfgrass cover between the seeds treated with Aquatrols Seed Enhancement Technology and uncoated seed. By the conclusion of the study, turfgrass cover in the water repellent soil was 7.5-fold greater in the Aquatrols Seed Enhancement Technology treatments in comparison to uncoated seed. We believe that Aquatrols Seed Enhancement Technology holds great promise for agriculture and the future of farming, but we’re not there yet. All Aquatrols products are put through rigorous testing to ensure safety, efficacy and reliability, and our Seed Enhancement Technology is no different. Evaluations of Aquatrols Seed Enhancement Technology in commercial agriculture applications are currently underway. 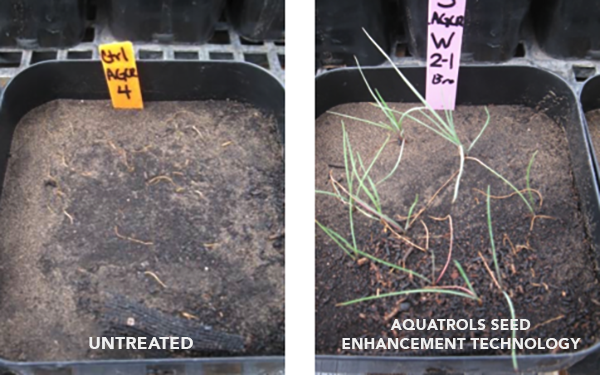 Aquatrols Seed Enhancement Technology improves both seedling emergence and survival of native species. This is particularly important in post-fire scenarios where re-establishment of native plant life is more difficult. 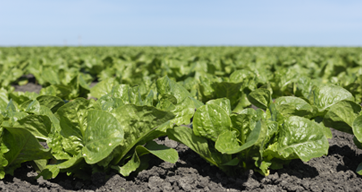 In a trial conducted in post-fire repellent soil, Aquatrols Seed Enhancement technology positively impacted the establishment of new plant life. 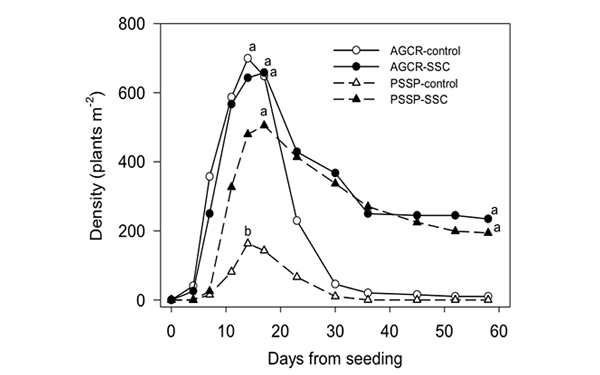 Emergence rates were similar between treatments for crested wheatgrass, however, as we transitioned from a high to a low moisture regime all of the non-coated seedlings quickly desiccated, while over half of the seedlings in the seed coating treatment were able to survive. 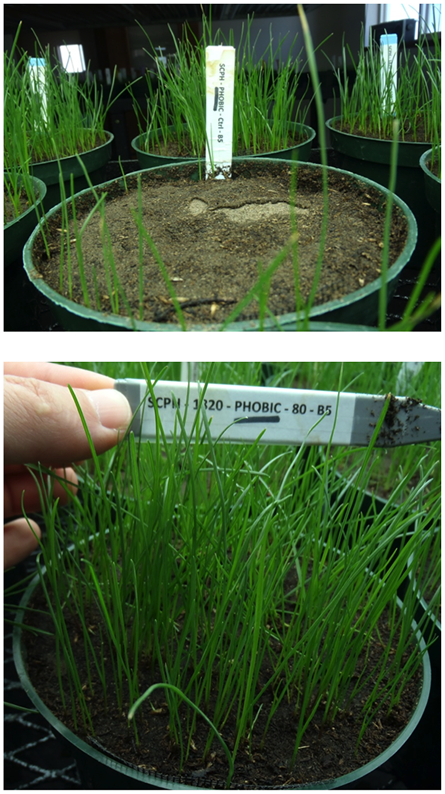 Aquatrols Seed Enhancement Technology improved both seedling emergence and plant survival for bluebunch wheatgrass. Interested in Aquatrols Seed Enhancement Technology? Aquatrols scientists and technicians are available to answer any of your questions. Simply give us a call or send us an email and you will be contacted directly.